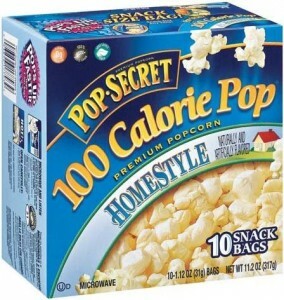 Home > Printable Coupons > Pop Secret Coupon | Popcorn As Low As 74¢! Pop Secret Coupon | Popcorn As Low As 74¢! Savings on popcorn are rare to come by, so grab this new Pop Secret coupon! I think the snack size bags can be a great substitute for candy this season. Pop Secret is currently on B1G1 sale at several stores around town, so check out the deals below. Or print now and hang on to it for later, because it doesn’t expire until 12/31 and there are no size restrictions!